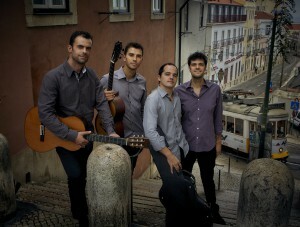 The Lisbon Guitar Quartet was founded in 2006. During its first three years of activity, it performed approximately fifty guitar recitals in different venues in Portugal and Spain, while also premiering several original pieces written by contemporary Portuguese composers. In mid-2009, the group suspended its activities in order to allow its members the pursuit of diverse individual projects. During the hiatus, all the elements of Lisbon Guitar Quartet have developed their concert career, leading them to play in important venues and festivals throughout the world, playing with orchestras as well as with different musical formations, and also as solo artists. The will to share the experiences each one of them had lived led to a reunion of Lisbon Guitar Quartet and to resuming rehearsals in late 2011 and concerts in early 2012. Since then, a new repertoire consisting of original pieces by Portuguese composers has been developed. Parallel to this renewal, the quartet has kept a busy concert agenda with a repertoire based on internationally renowned guitar composers. 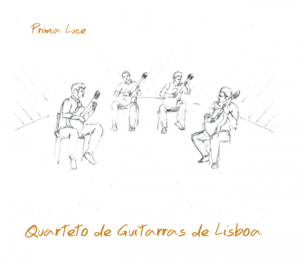 In July 2013, the quartet has decided to release a CD and a SongBook only with original music written for the Lisbon Guitar Quartet by Portuguese composers. The album will feature the famous Portuguese percussionist Pedro Carneiro on a piece by Carlos Marecos for guitars and marimba. The album debut was made in July 2014 during the 40Th International Music Festival Estoril Lisboa, in Lisbon. In July 2015 QGLx made the premier of the first concert for 4 guitars and Orchestra with Orquestra Sinfonietta de Lisboa written by a Portuguese composer, André M. Santos. Teresa Macedo was born in Lisbon 1982. She started her career has a professional actress in theatre and television productions. As a theatre actress she began soon to study also music. Teresa attended the Conservatório Nacional de Música de Lisboa and studied Lyrical Singing. Later, she chose to take her Jazz knowledge a step further and attended the Academia dos Amadores de Música. In 2011, she was invited to participate in a recording of an album, edited by the National Company of Music: “Canções de Embalar de Dia”, performing a duet with the well-known portuguese musician, Rui Veloso. In 2013, she also completed her degree in Jazz Music, in Escola Superior de Música de Lisboa with credits on the Theatre-Music Master’s degree in Escola Superior de Teatro e Cinema. Two years ago, she was prize winner by an honourable second place in a Fado’s Competion in the 8th Encontros do Fado. Nowadays, she’s envolved with the several musical projects: jazz&blues, in original and both traditional and classical portuguese music, joining classical and some traditional singing like Fado. 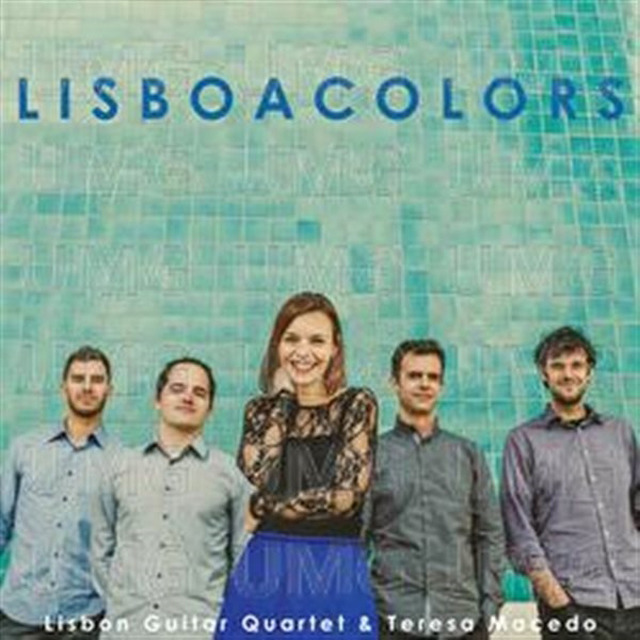 Faced with the immense offer of quality material available in classical music, the Lisbon Guitar Quartet has always sought to achieve a unique and original experience when designing their program concerts, aiming to combine both quality and singularity. This was, again, their main aim in designing a program entirely based on Portuguese composers and written for or by this formation. Moreover, all the pieces have been composed in the XXIth century, thus giving the program a fiercely contemporary stance. 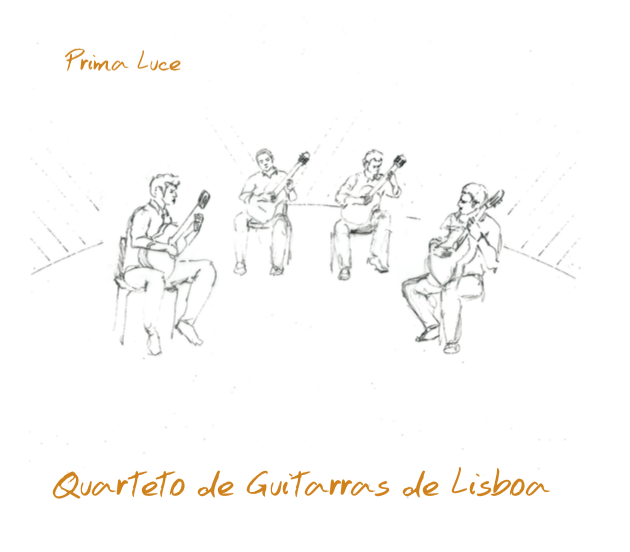 This was made possible by the participation of composers that are themselves members of the Lisbon Guitar Quartet (André M. Santos and José Dias) and others from the contemporary composition scene in Portugal (Carlos Marecos, Manuel Durão, Cláudio Cruz, Francisco Tavares). The album features the famous Portuguese percussionist Pedro Carneiro on a piece by Carlos Marecos for four guitars and marimba. Prima Luce, by José Dias, is divided in two very different movements. The first displays images of constant echo, highlighted by how themes are passed on from each one of the guitars to the others. The second movement developing an idea evolving from an initial cluster that progressively becomes more clear, rhythmic and intense. André M. Santos has written two distinct pieces for the Quartet. In Elegia a um poeta andarilho he picks up some of the most well-known themes from José Afonso’s songs and he uses them as the basis for the whole musical work, in which a memory of the past is blended with a flirt with new soundscapes, leading the listener to feel as a traveller between songs from past and unforgettable times. Meditações sobre uma terra despida, originally written for eight guitars, portrays the feeling left by observing the current abandon of a place well past its golden era. The piece’s bipolar nature is patent in two very distinct sections: one of them, the first, marked by energy and virtuosity, and a calm and melancholic second one, which precedes a return to the initial theme. Manuel Durão has divided his piece (Ocorrência II) in three movements. The second one, very static and introspective, stands in clear contrast with the others, full of energy and with constant changes in soundscapes. This piece was in fact the first one that was ever written for the Quartet in 2006. Francisco Tavares explores reverberation of the four guitars and a sonic continuum present during most of the piece. These elements do blend with a simple and easy to memorize melody, leading the listener to feel strangely familiar with something new and original. The piece by Cláudio Cruz Uma carta para a quinta de São Domingos pays tribute to his grandfather and explores two distinct soundscapes. Initially, the movement comes and goes from a general pianissimo to the four guitars in rasgueado fortissimo, leading to a lively rhythm in the section that ends the piece. Towards the end, in a progressive diminuendo, the composer explores some of the timbre resources that guitar has to offer. Carlos Marecos’ piece is the only one featured in the album that resorts to instruments other than guitars. It was written for four guitars and marimba, having the latter been played in the album by the renowned Portuguese percussionist Pedro Carneiro. The writing of this piece was a tribute to Richard Wagner, in the bicentenary of his death. Música para quatro guitarras e marimba starts with a short movement using harmonics which slowly start to evolve in all guitars. In this section, the famous Tristan Chord is used. The intermediate part of the piece is a constant crescendo with all the four guitars contributing to a climax that is reached in the transition to the cadence, in which the marimba assumes the central role. This piece ends with a temporary return of the most lively section recovering the initial theme in harmonics. Finally, it is noteworthy that a version of the piece for four guitars only does exist and that it will be presented in concert whenever Pedro Carneiro is not available to perform as a guest with the quartet. This journey through recent worlds, all composed during the last decade, results in a special and unique concert that allows the listener to travel through several contemporary and distinctive languages brought by four guitars – a formation that only achieve notoriety during the XXth century and whose repertoire we expect to further enrich with this contribution.